Improving threat prevention and detection is a strategic aspect of securing infrastructure against cyber attacks. Despite the availability of various resources that enhance cybersecurity, the tedious process that has previously relied on human involvement is like finding a needle in a haystack. Thanks to artificial intelligence (AI) technologies, significant breakthroughs have been made; and when leveraged, they allow proper defenses to be put up against cyber attacks with limited human input. Waqar Ahmed, who is a London-based Information Security Consultant and currently teaches people his skills, says that “although artificial intelligence plays a big role in transforming information security and improving cyber security measures in both offensive and defensive capacities, it should not be assumed that human effort is completely eliminated from the process.” Many people still don’t comprehend what artificial intelligence is and its application in cybersecurity. 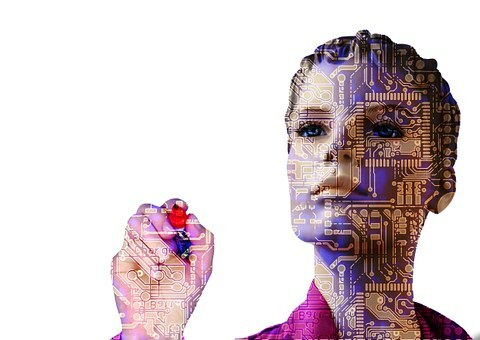 So, let’s start by making a brief introduction into the concept of artificial intelligence. AI technology emulates patterns to automate tasks that are repetitive or predictive and make their performance easier or better—usually with little human input. This technology is not expected in the future. It is here with us. Already, robots are doing several jobs in various sectors such as transportation, healthcare, and the environment. An example is the current transformation in the transport sector where self-driven vehicles have been invented. Soon, and very strangely, people will make and keep robotic friends, an act that will affect socialization among humans. In its battle against cybercrime, AI can generate and analyze infinite amounts of data, such as from logs and network sensors, greatly reducing the workload of security professionals. Machine learning (ML) is the AI sub-discipline that focuses on the application of computer algorithms to discover patterns in data. ML technologies have led to great advancements in the cybersecurity industry. In the current data-driven world, cybersecurity professionals should strive to gain knowledge and practical skills in machine learning techniques. AI solutions enable machines to comb through historical data, identifying past threats and their trends, which ease future planning and decision making. The available clues can enable machines to detect abnormal activities by separating permissible network activities from those which are not. With expert analysis, machine learning provides beneficial techniques of identifying and reducing the risk of system or network breaches. For example, this sub-discipline of AI uses classification techniques to predict the possibility of given samples belonging to predefined classes, such as emails categorized as spam. The ML algorithms help in solving classification problems as well as detecting and mitigating cyber threats. Machine learning also uses certain key attributes or features to cluster data into discrete groups that easily identify security breaches when they occur. This makes it easy to identify items that don’t conform to given clusters for closer monitoring and testing. It is important for cybersecurity professionals to gain a practical understanding of the application of artificial intelligence in security and its impact on their careers. The question that has been in most researchers’ minds is whether AI can work independently without human involvement. There has been some skepticism regarding the ability of AI technologies to identify and eliminate threats holistically on their own. Researchers are even raising questions about whether AI should operate independently in the first place. This is because AI has its limits and cannot replace humans completely. For instance, AI technologies can be incorporated in network security assignments to automate processes but it would be impossible for AI to make certain strategic decisions. This is where cyber professionals come in to identify and devise initiatives that help in reducing or eliminating cyber threats. Machines don’t have their own intelligence, after all. It is all derived from humans who have to come up with the best strategies. Therefore, AI does not work as a replacement for human expertise in cybersecurity. Instead, AI helps in streamlining network activity using data and information from various expert monitoring systems, allowing cybersecurity professionals to focus their attention on areas that need them to proactively and reliably make intelligent strategic decisions that quickly mitigate threats. Furthermore, AI solutions come in handy where the shortage of skilled people is negatively undermining the provision of excellent cybersecurity expertise. Reduction in job prospects and fear of job losses for cybersecurity professionals is unfounded, since in most scenarios human intelligence has to be paired with AI to identify and eliminate any prospective threats. Also, artificial intelligence in cyber security solutions rely heavily on algorithms of available data, and these chunks of data are largely inputted by humans. As such, human intelligence is required in understanding the threat landscape before AI solutions kick in to detect cyber criminals and alleviate threats. The future holds a lot for AI and cybersecurity professionals. Given the numerous cyber threats, AI solutions can’t work in isolation. AI technologies are designed to offer support to existing teams and strengthen organizations against cyber attacks. Other than elevating human abilities, AI helps in accelerating productivity through better decision-making processes, resulting in enhanced identification and elimination of threats before their impact is felt. So, are you prepared for the AI-takeover of cyber security? Please share your thoughts in the comment section below.